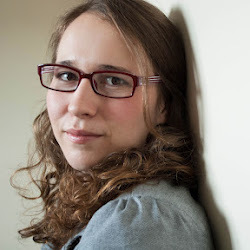 Zoe Dupley is a writer for Koocanusa Publications. 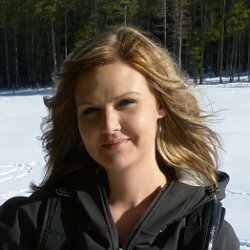 She received her Journalism diploma from SAIT Polytechnic, and is currently finishing her degree in Professional Communication at Royal Roads University. Dupley hopes to share her love of storytelling, and properly communicate the passions of those she interviews. 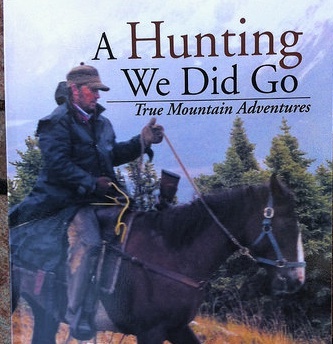 When she isn’t hiking or camping in the Rocky Mountains, she is at home reading The Lord of the Rings. 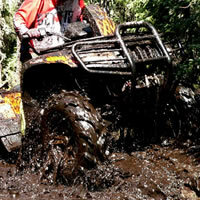 RBR Offroad’s new park in Manitoba has more mud and more fun per square inch than any other. 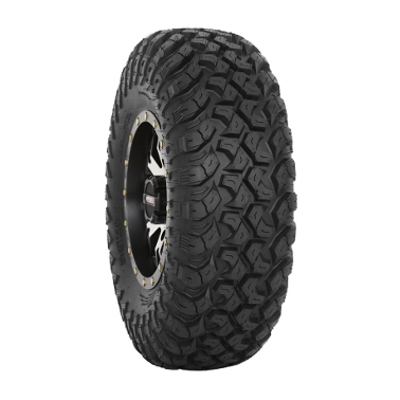 Make this place the next stop on your journey to off-roading nirvana. 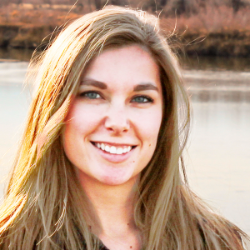 Jillian loves to help others share their stories, and writing for RidersWest lets her do just that. She learns about places she’s never been from the people who grew up there, and puts their words to paper for the rest of us to read. What’s even more rewarding than loving your own work, is the reactions from those whose stories she’s shared. See more of Jill’s work at wordsbyjill.com. 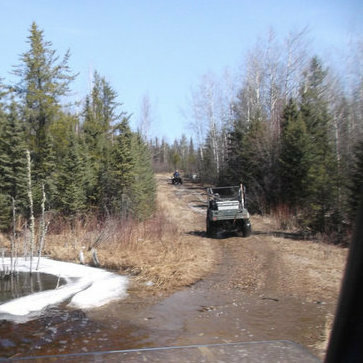 The Belair ATC Club is working to add more designated trails to their ATV trail system in Manitoba. 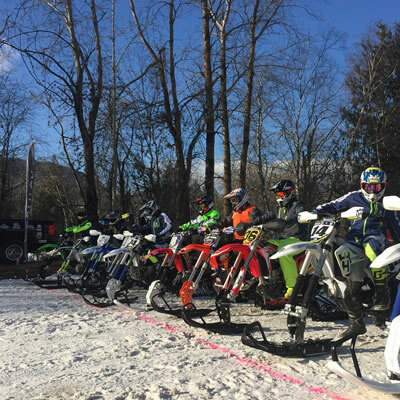 The Sicamous Ripped Snow Festival is a family-friendly free snow bike and snowmobile racing event held annually on BC Family Day. 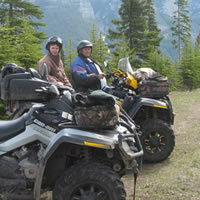 Jerry Bens has criss-crossed Western Canada by ATV for years. He records his trips and posts the video recaps on YouTube. 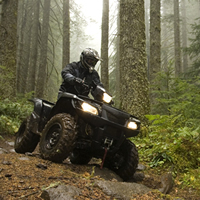 Discover the area by ATV for a real adventure! 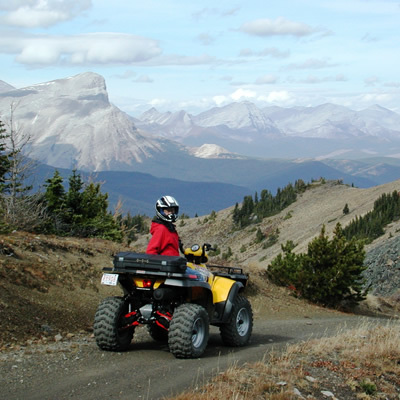 Travel quite literally off the beaten track on a quad or side-by-side to get a real feel for Alberta’s outdoors. 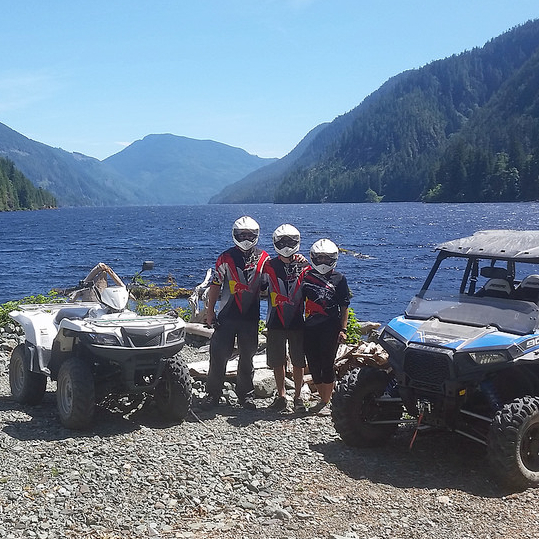 The owners of West Coast Edge ATV Adventures give us the scoop about ATVing on Vancouver Island. 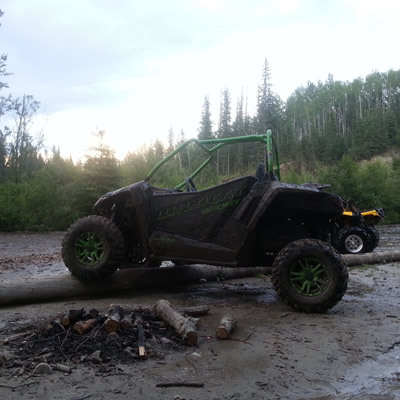 Hellenbach Racing was founded in 2014 by two friends with a dream and a homemade UTV. 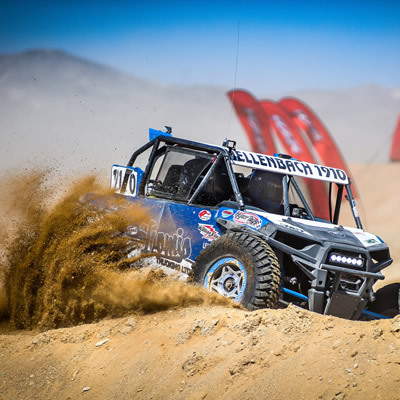 Now they race two custom cars and finish in the top five at major desert races. 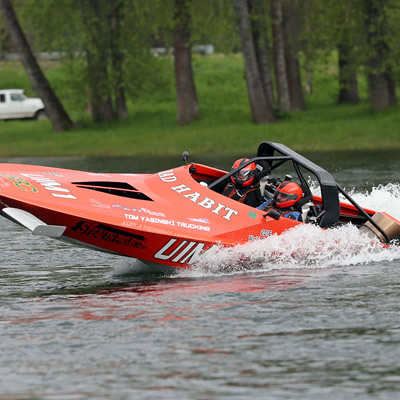 Chad Burns returns to the water this season after claiming the 2016 world champion jet boat racing title. 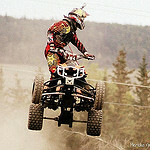 Rad Rider Trevor Schell tells us about his ATV adventures to his favourite fishing spot in Saskatchewan. 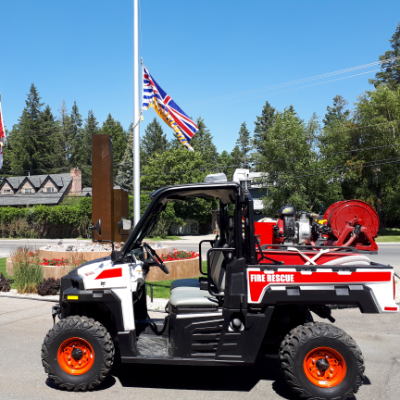 In honour of Canada’s 150th celebrations, the Canadian Off-Highway Vehicle Distributors Council has announced a funding program. 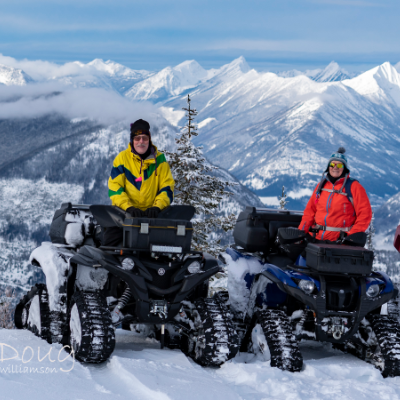 Turple Bros. part owner and sales team lead, Troy Dezall, balances his busy work schedule with family trail and sled riding near Red Deer, Alberta. 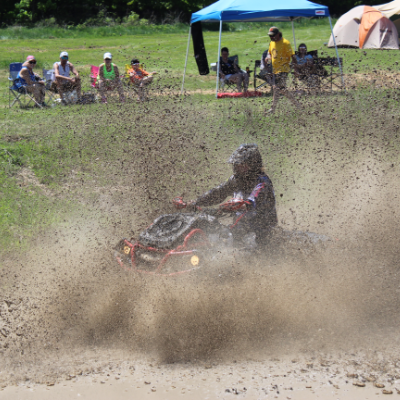 Darryn Duncan takes off on his quad right from his front door as often as he can throughout the summer. 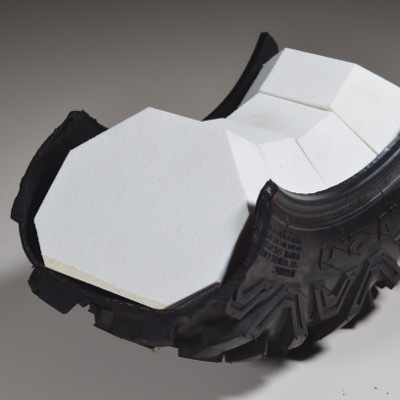 ATV Zone, Who shall be crowned with many crowns? 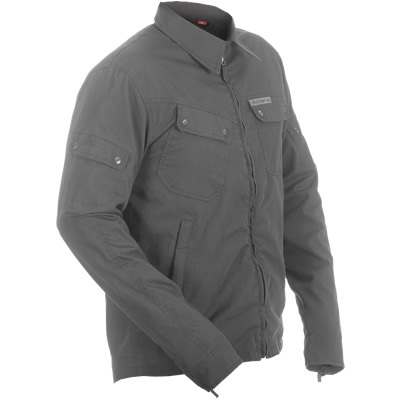 Keep protected from the sun’s harmful UV rays and scorching heat while staying cool and dry outdoors with the Under Armour’s HeatGear and CoolSwitch athletic clothing line. 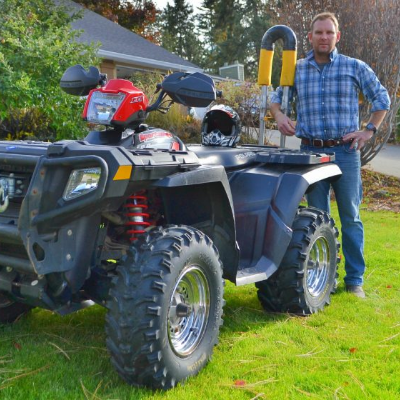 Steven Radel is the head mechanic and shop foreman at T&T Powersports Ltd. in Bonnyville, Alberta. 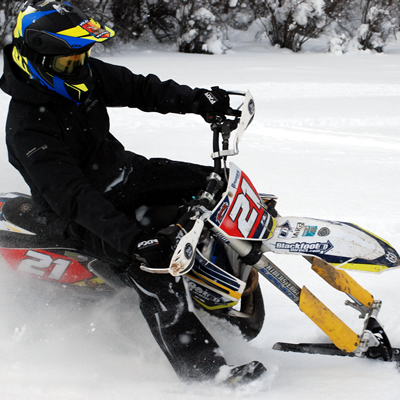 Originally from Australia, Radel spends his fun time ripping it up on sleds, dirt bikes and street bikes with his fiancée, Alix. 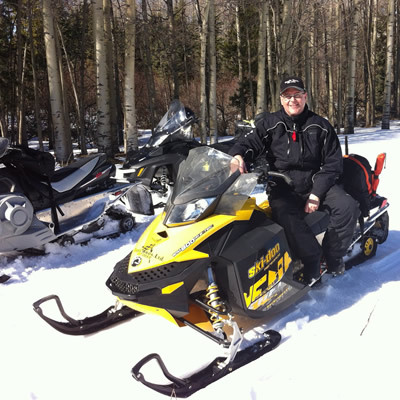 He has more than 20 years of experience in the industry as a motorcycle, snowmobile and ATV service technician. 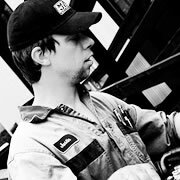 He is an Automotive Red Seal Journeyman and a Cat Master Gold Technician, as well as a Silver Certified Yamaha Technician. 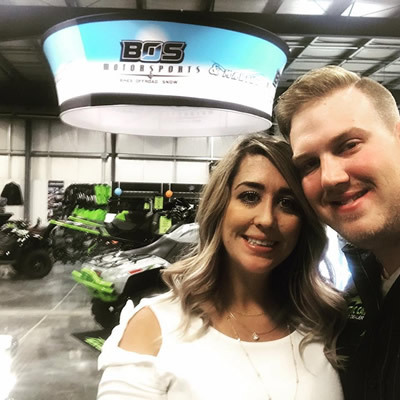 Radel will be working closely with RidersWest contributing writer, Trish Drinkle, who is also a parts, sales and customer service representative at T&T Powersports Ltd., to bring expert technical advice to our readers. 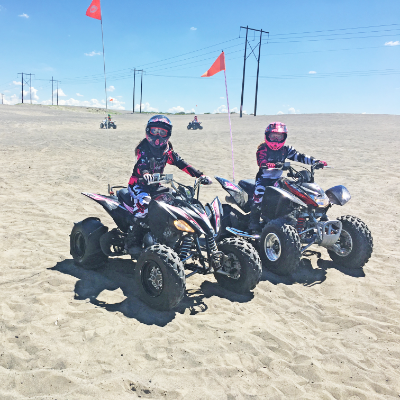 ATV, quad and four-wheeler are names to describe one of the most enjoyed summer toys on the planet. 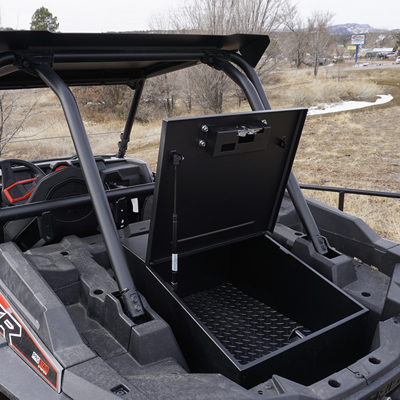 Used to access the backcountry, most of the units can be modified to suit the owner’s ride style. 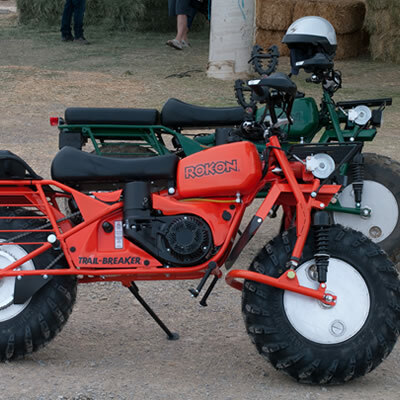 When choosing a dirt bike, it is important to narrow down your choices based upon your specific needs. 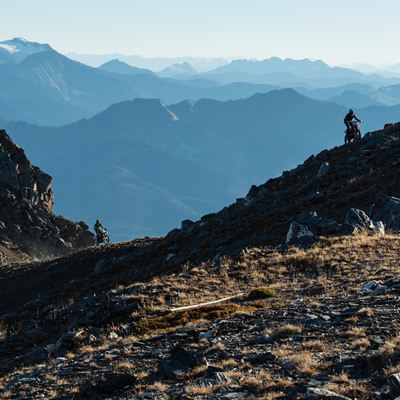 It is easy to get twitterpated away from logic by horsepower and peer pressure, so here are some tips to help you choose the bike best suited for you. 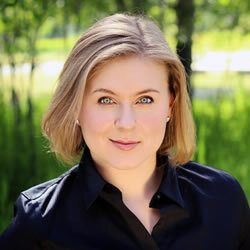 Danielle Cameron is a writer and web editor for several publications. 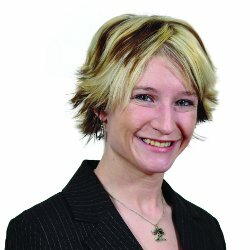 She has a weekly column with Kootenay Business called Biz Edge, where she profiles innovative companies in the East and West Kootenay. 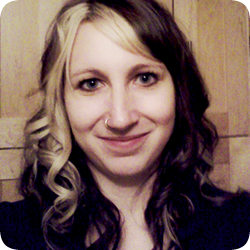 Danielle has a bachelor of arts degree in psychology and English, and is a Certified Herbal Practitioner. 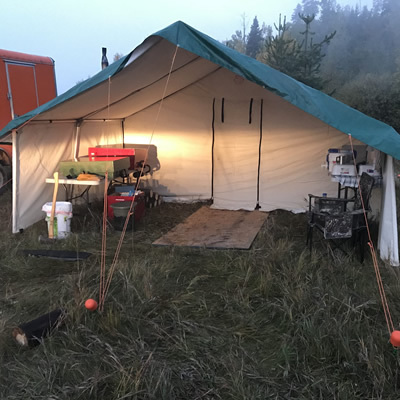 In addition to being an avid animal lover, her personal interests include developing herbal formulae, fiction writing and spending quality time in the forests of B.C. 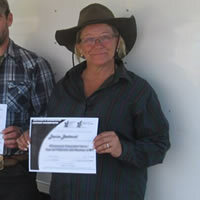 She continually seeks to evolve both as a writer and as an herbal practitioner. 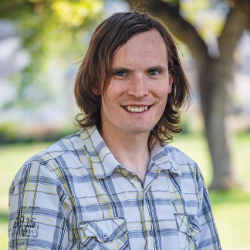 Writing for RVwest has been a special privilege for her, as she hopes one day to do some travelling herself, and loves to hear the stories of those who have. 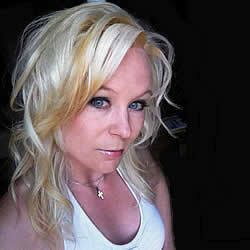 If you wish to contact Danielle, feel free to send her an email. 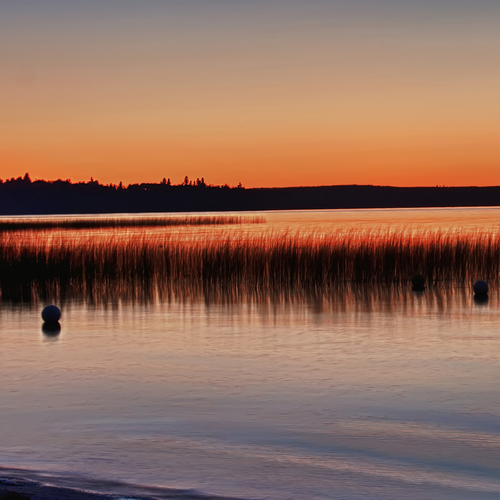 The Pas has its share of attractions that make it a worthwhile stop during your Manitoba adventure. 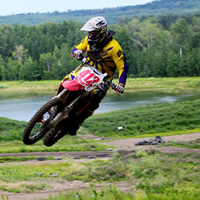 The Whitecourt Motocross Association offers events and riding opportunities galore. 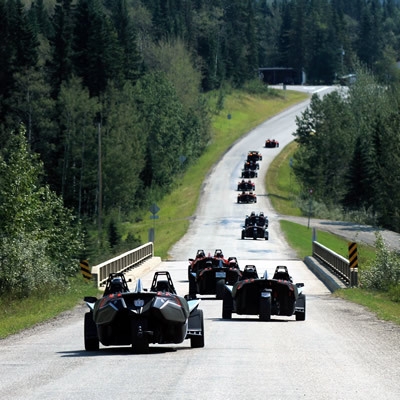 An Alberta treasure, Westlock brings out the adventurer in everyone. 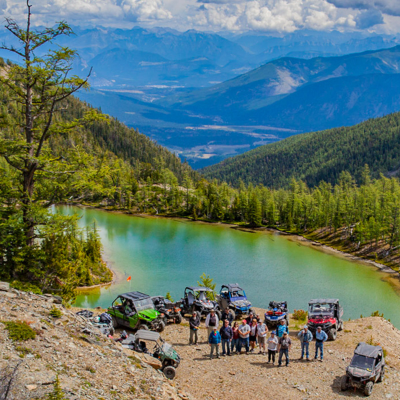 The quadding in Creston, B.C., is enough to impress even the most seasoned ATVer. 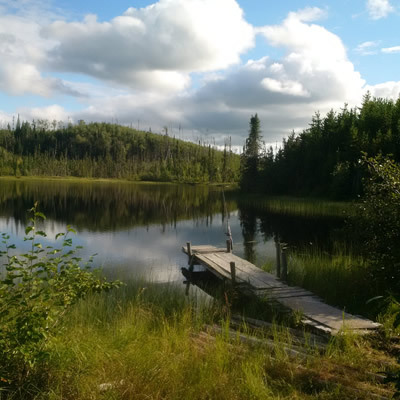 Located just a short drive from Mackenzie, Williston Lake is a well-known area for all types of outdoor recreation. 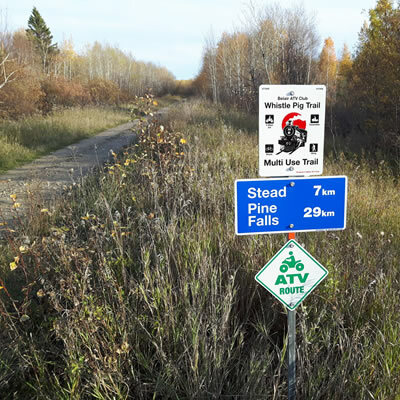 We asked our readers to share their favourite historical riding zones. 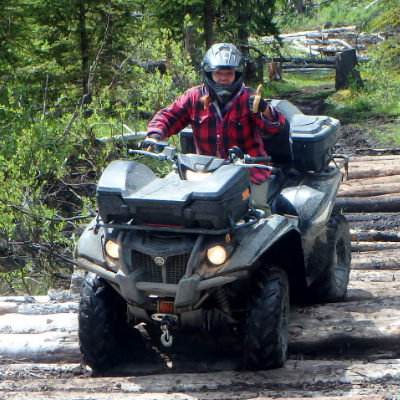 Try quadding along the numerous trails in the Bulkley Valley. 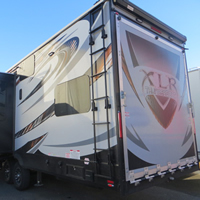 The RidersWest website is riding in style, with added features and a slick new appearance. 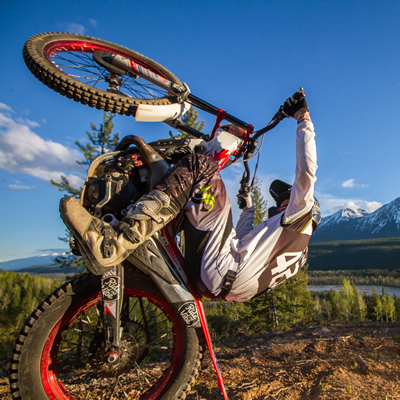 For an invigorating alpine ride, visitors to Valemount should definitely try the Canoe Mountain route. 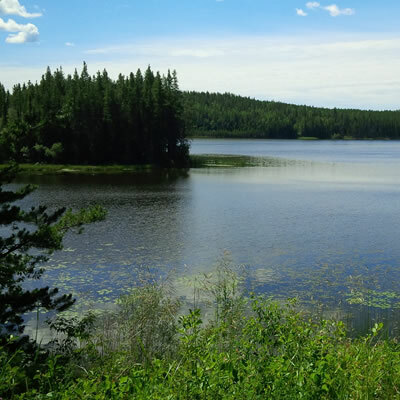 Plan to make Fort McMurray one of your summer stops and you won’t be disappointed. 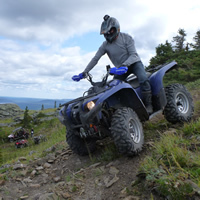 The trails here are vast and surrounded by some of the province’s most astounding natural delights. 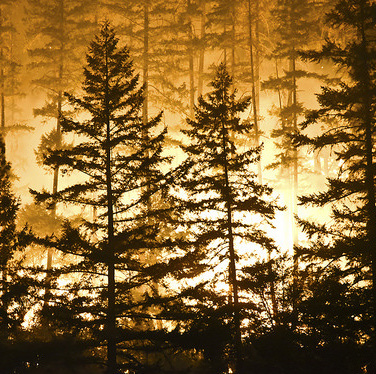 Have you ever wondered why we remember the things we do? Once upon a time there was a young boy who had a boyhood hero, a decorated police officer: my grandfather Webster. 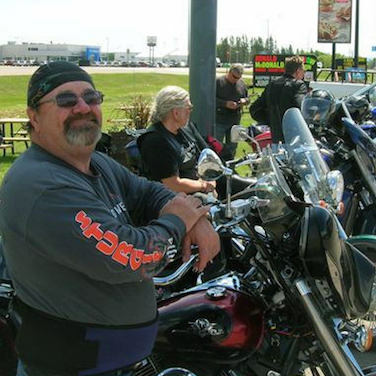 He orchestrated a ride for that young boy on a Harley Davidson police motorcycle. 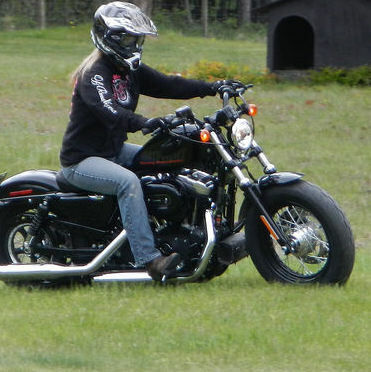 To this day, I recall sitting on the saddle in front of a larger-than-life motor officer with the rumble of that Harley between my legs and the excitement of it all. I have been smitten ever since. Time marches on, there is a lot of water under the bridge and gray hair to go with it. 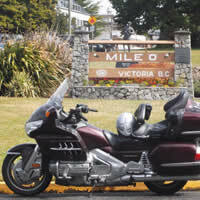 I have been fortunate enough to have been riding motorcycles for more than 40 years now, starting as a young teen when my grandfather rented a Yamaha 100 twin jet for me in the Stanhope Beach area on Prince Edward Island in Canada. 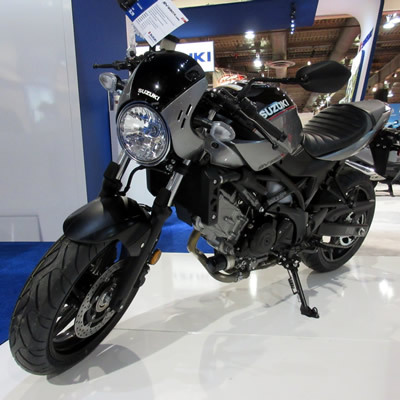 Strangely enough, my first motorcycle at 15 years old was the same model of Yamaha as that one my grandfather had rented. 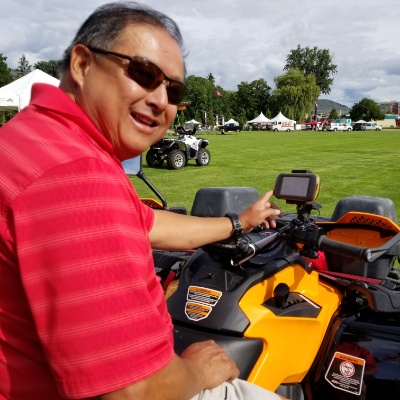 During several of my working years, I had the opportunity to operate Kawasaki KZ1000 Police Specials as well as Harley Davidson Police Specials. During this special time, I was lucky to be able to hone my skills and, at the same time, instruct many new motor officers. For several years, I rode a motorcycle to get to and from work, often shaking my head in amazement that I was getting paid for that. 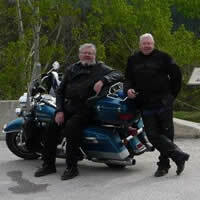 Originating in Alberta, I have made numerous return motorcycle trips across Canada and the United States over the years. 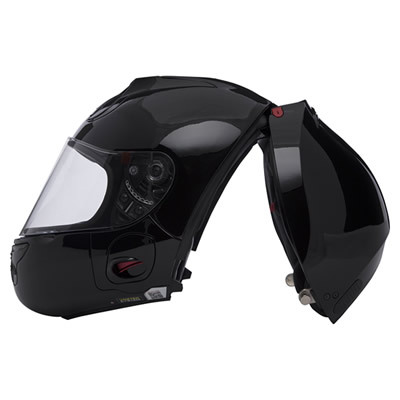 I have been to the Eastern Seaboard of the U.S. into the Smoky Mountains between North Carolina and Tennessee to experience a world-renowned motorcycle road called Deals Gap/Tail of the Dragon. 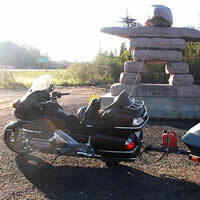 More recently, my 80-year-young stepfather, Bruce Wheeler, and I boarded my Goldwing and travelled from Victoria, B.C., to St. John's, Newfoundland, and collected seawater from both oceans as our trophy. 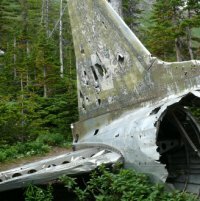 That trip alone garnered 16,300 kilometres. 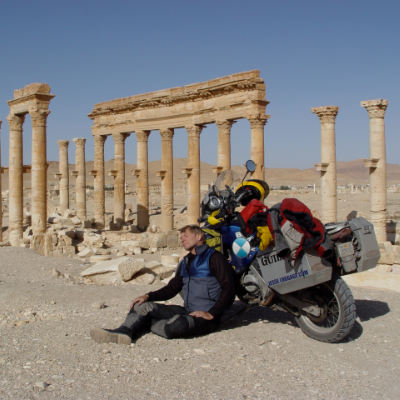 Motorcycling is a passion, and I would encourage anybody who has this on your bucket list—if you can do it, then do it. 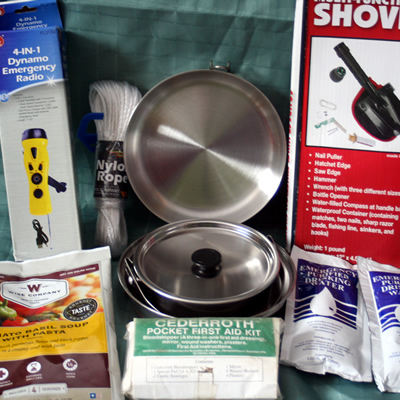 Make a plan, be prepared, take the training and be patient as you travel. 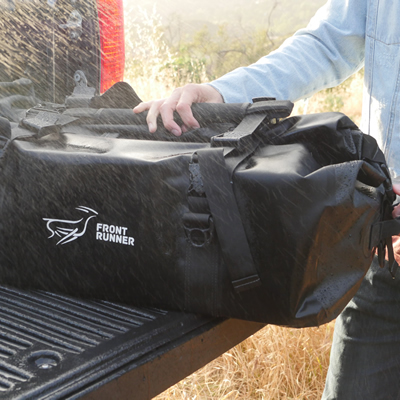 You will love the adventure, love your country and perhaps even love yourself for doing it. 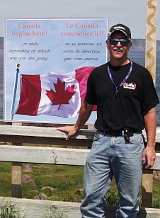 In his fourth tale, Wayne Hamm decribes motorcycling through Ontario and Quebec. 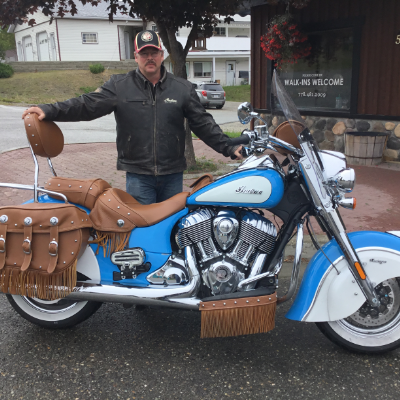 In his third story for RidersWest, Wayne Hamm details his journey through Alberta, Saskatchewan and Manitoba. 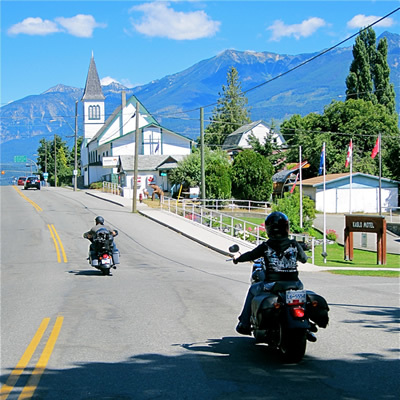 Wayne Hamm shares the first story from his cross-Canada motorcycle trip—a summary of the many things he felt and experienced. 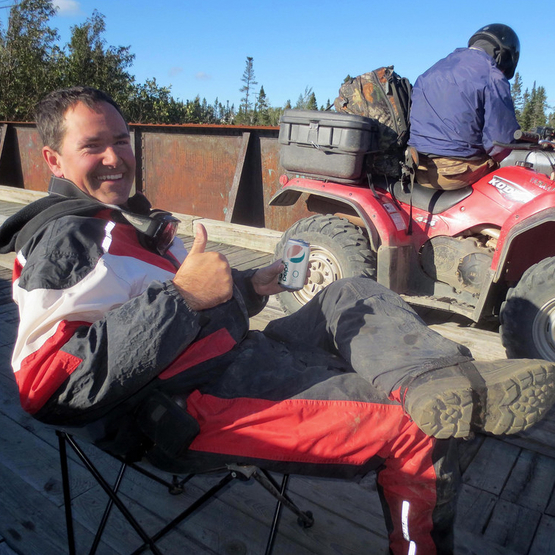 Wayne Hamm has vowed to live every moment to the fullest on his upcoming cross-Canada sojourn. 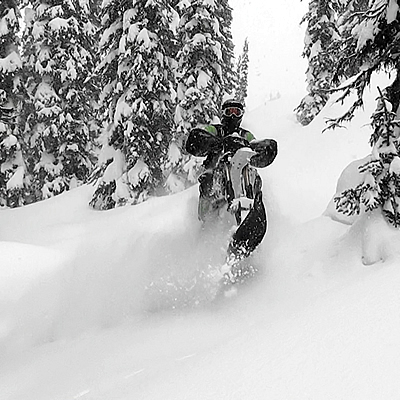 Justin Surina is a shop foreman and mechanic at Main Jet Motorsports in Nelson, B.C. 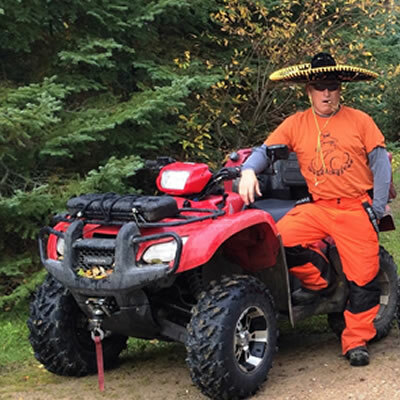 He brings more than 10 years of experience into play as a Red Seal journeyman, Polaris master technician, Cat master technician and a KTM orange level technician. 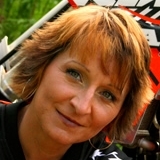 Surina takes a keen interest in dirt bike riding—whether it’s riding single-track trails or at track events. 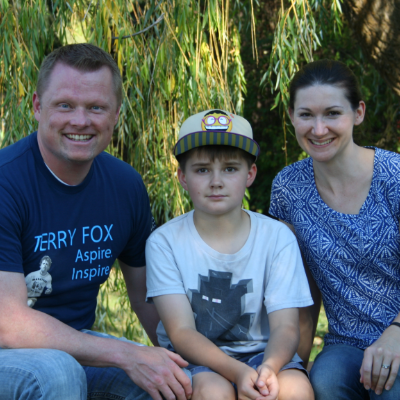 Surina and his wife, Naomi, reside in Nelson, B.C., and they are the proud parents of two little girls. 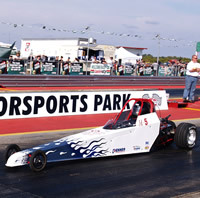 The author, Trish Drinkle, is a sales and marketing representative at Main Jet Motorsports and she works closely with Surina to bring expert technical advice to our readers. 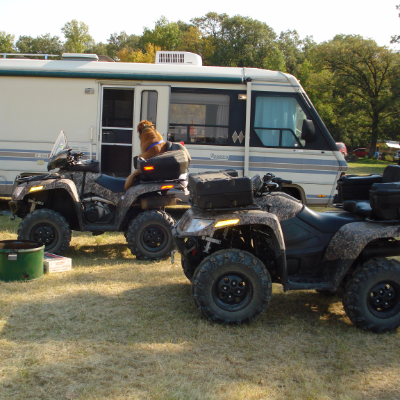 I remember the day my father brought home our family’s first ATV. It was a Suzuki 350 c.c. and I was terrified of it. 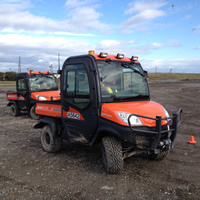 It had a manual transmission and I spent several frustrating hours trying to learn how to shift the gears smoothly. 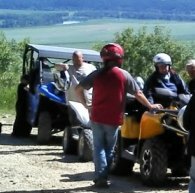 After I figured it out, however, I was hooked on ATVing. 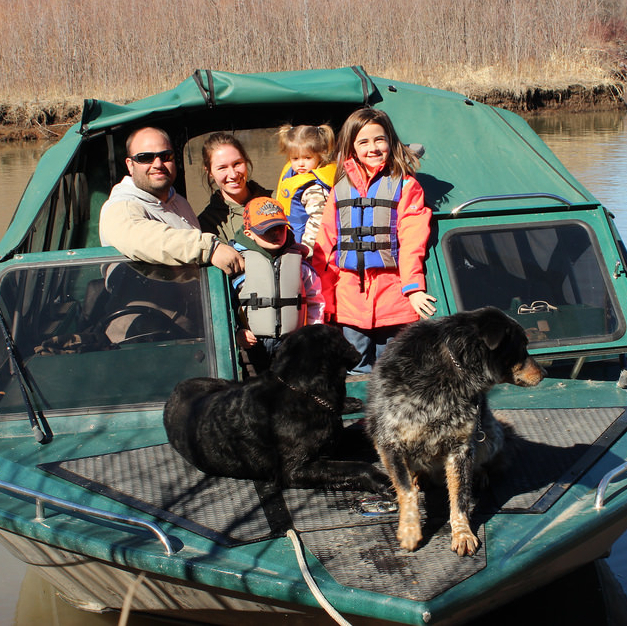 A couple of years later, my father bought two personal watercraft and it didn’t take me long to develop an interest in them as well. 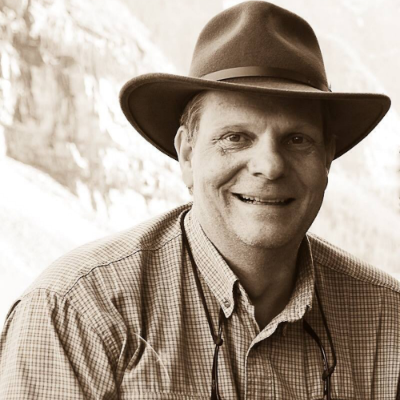 Since then, I’ve explored trails and lakes throughout the East and West Kootenay regions of B.C. 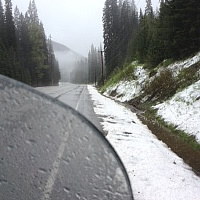 and in the province of Alberta. 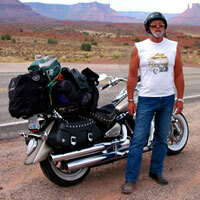 I have also ridden a personal watercraft in the states of Montana, Arizona and Utah. 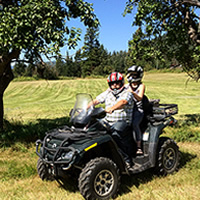 My passion for motorsports is something I am pleased to share with my husband, who is also an experienced dirt biker and motorcyclist. 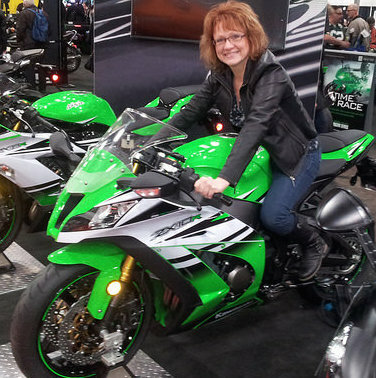 As a writer for RidersWest, I get to speak with top riders in the industry, learn about new products on the market and hear great riding stories from readers. 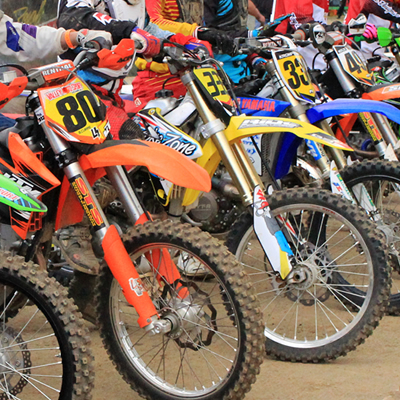 If you have a story that you’d like to share, know of an outstanding rider who should be recognized or would just like to talk about motorsports, please email me. 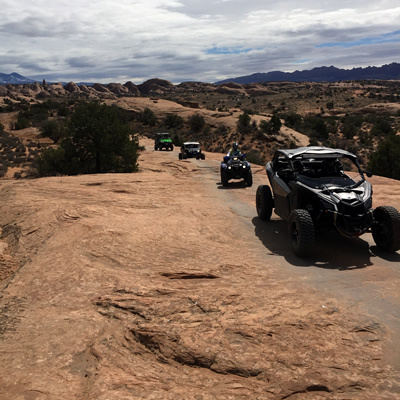 Every March, hundreds of 4x4 enthusiasts converge on Moab, Utah, for the annual Jeep Safari week. Could they be onto something? 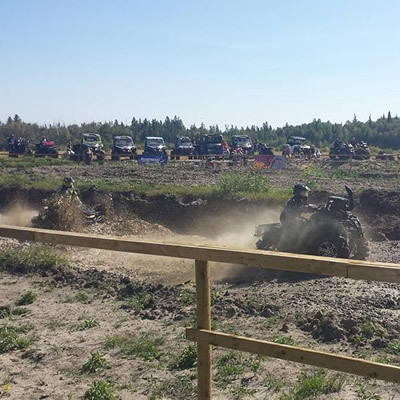 ​A group of ORV enthusiasts from B.C.’s Lower Mainland just had to find out. 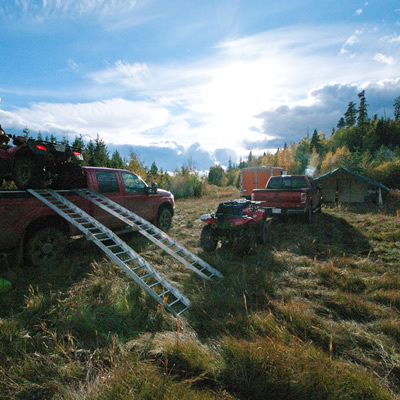 One of Southern Alberta’s most beautiful areas to go ATVing faces an uncertain future. 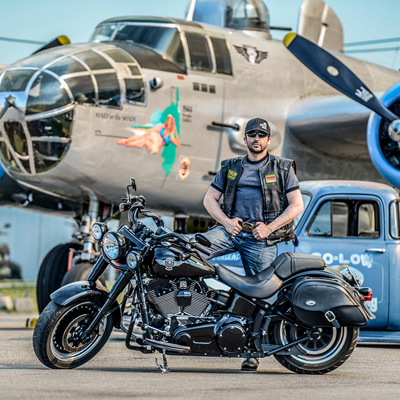 Mike “Yukon” Avetikian—motorcyclist, professional photographer, gunslinger and former Soviet citizen—has realized many of his dreams. 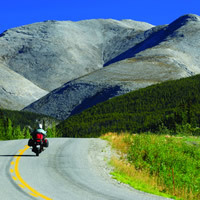 The International Selkirk Loop is a three- to seven-day tour that takes motorcyclists on a memorable trip through the mountains. 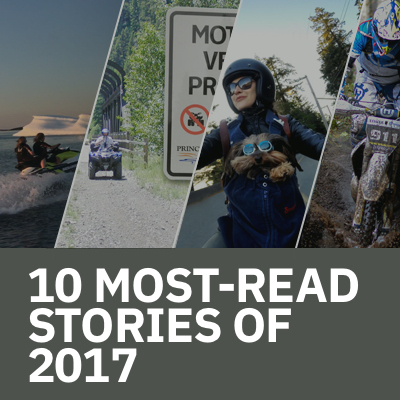 Before we usher in a new year, let's look back at the top 10 most-read stories on RidersWest’s website. 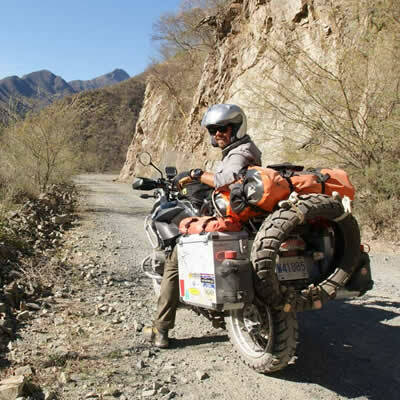 Follow Sara and Daniel Pedersen of Port Moody, B.C., as they traverse the globe by motorcycle. 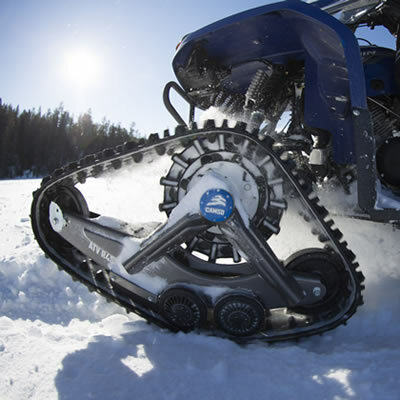 Converting a small engine ATV from tires to tracks is easier and more affordable, thanks to Camso’s new ATV R4S track system. 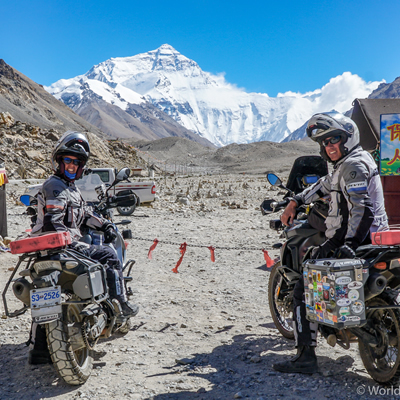 Kevin Chow quit his job, sold his house and is following his dream of motorcycling around the world. 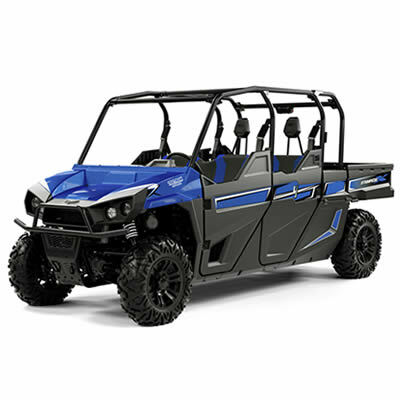 The two- and four-seater Stampede joins the Wildcat and Prowler series in Textron Offroad’s newly branded lineup for 2018. When I was 13 years old, I worked all summer for five dollars an hour to buy my first dirt bike. 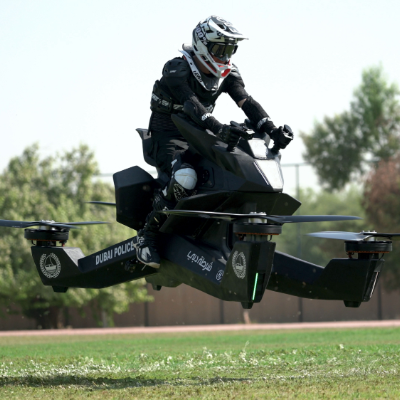 I wanted one after the first time I rode my friend's minibike across his yard, twisted the throttle and immediately lost control and watched the bike hurtle across the yard and off the top of the ravine into the trees below. 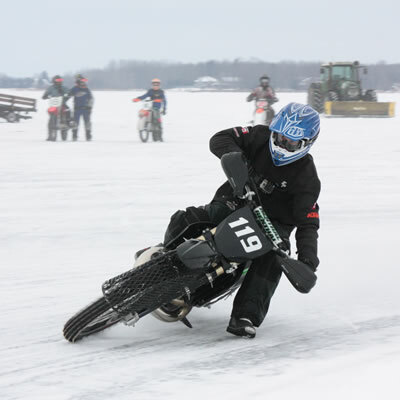 It was the adrenaline of the bike's power that seduced me; when the bike tore out from underneath me I knew that I would be chasing motorcycles forever. 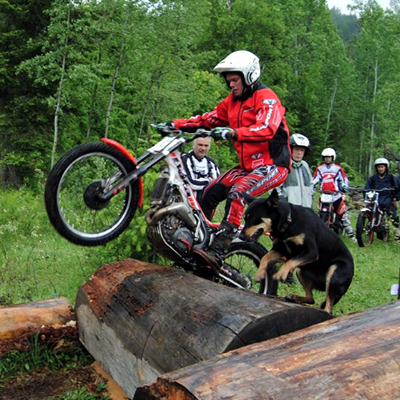 I raced for a few years in my late teens before life's little diversions ended my riding days for over two decades. 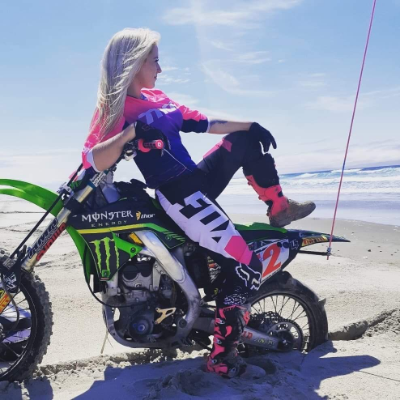 I got a degree in fine art and a diploma in literature while I dreamed about motocross and then I went to work at a motorcycle shop where I rekindled my passion. 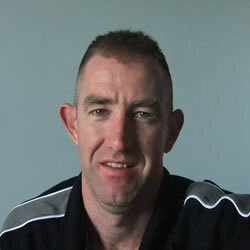 I started racing again at the age of 42 and recently retired after too many broken bones. 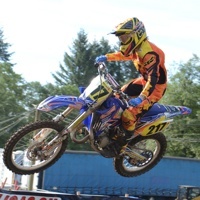 Now my son races, and I get a chance to express my passion as well as give something back to the sport I love. 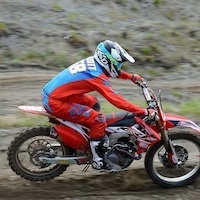 I also write a weekly Race Report blog with Moto Photos, Race Reports, and more. 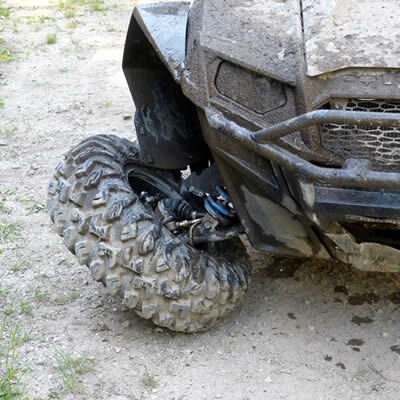 Here are some tips for beginners on how to shop for and buy the right dirt bike, as well as some examples of what could go wrong if you don’t. 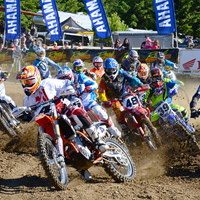 I perceived the CMRC Pro MX Nationals in Nanaimo, B.C., differently this year than I have in the past. 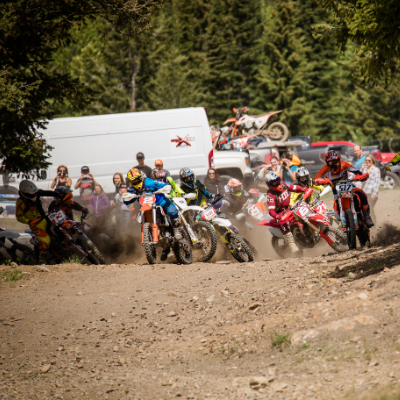 Racing motocross brings waves of highs and lows. 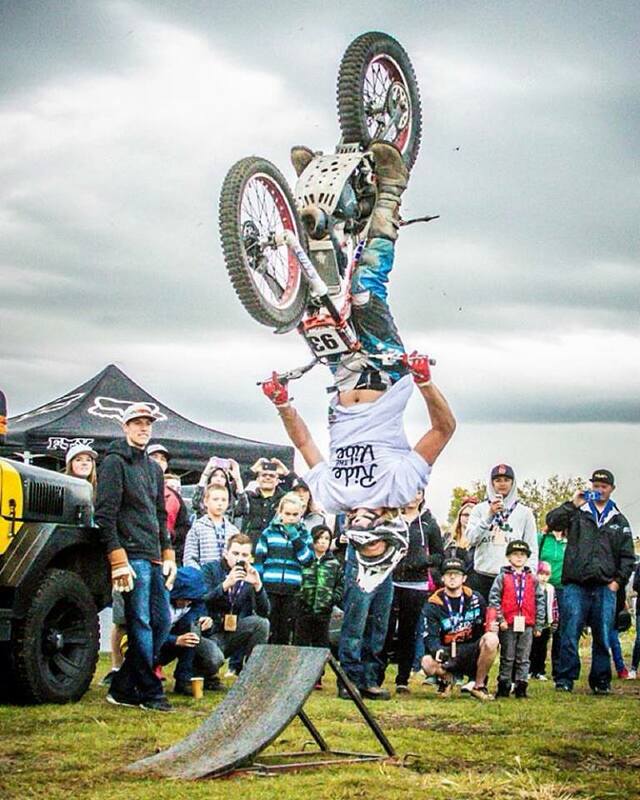 Recent events confirmed for me that motocross racing is all about community. 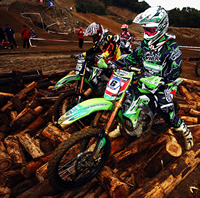 If you love motocross, this is the best time of the year. 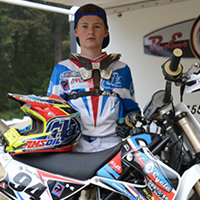 Youth class, the Junior A of motocross, is where our future stars are bred. 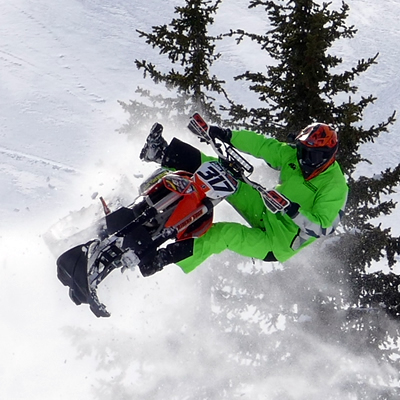 News from The Monster Cup, 2014 Kawasaki Arenacross Championships and the CMRC National Series. 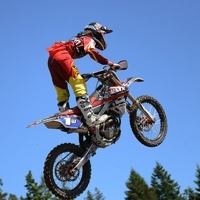 Moto Mayhem Five Aces from B.C. 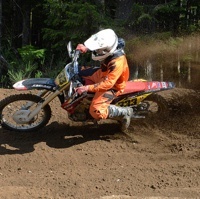 This is my second time running a motocross team. 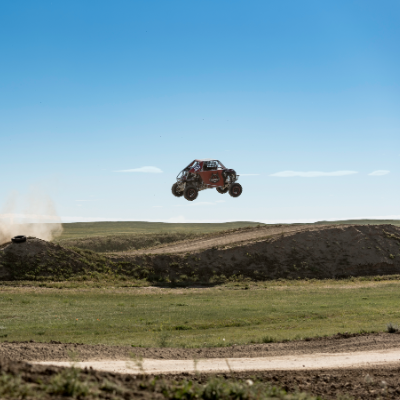 The first time was when I worked at Duncan Motorsports in Duncan, B.C., and I ran that team for five or six years. 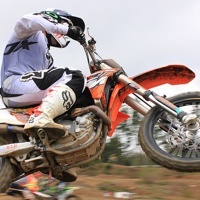 The new motocross season is finally underway and I sense more enthusiasm than I’ve felt in several years! 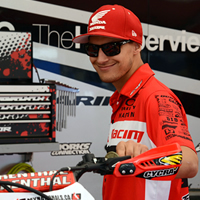 This is shaping up to be the best season of the AMA Supercross in over a decade. 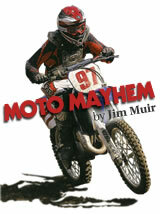 For much of the history of supercross the sport has been dominated by one or two riders at any given moment. 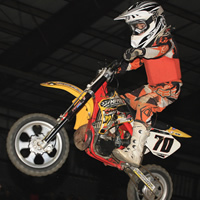 Moto Mayhem Chilliwack Arenacross Championships: pretty much Spenny! 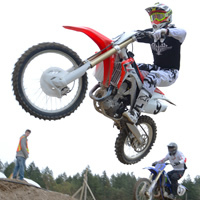 You will have to bear in mind that this is an article about the Vancouver Motorcycle Show, written by a motocrosser for a motocross column. When we got home from the last race of the year it was dark, cold and wet. We were exhausted. All I wanted to do was get the truck unloaded and curl up on the couch with my family. 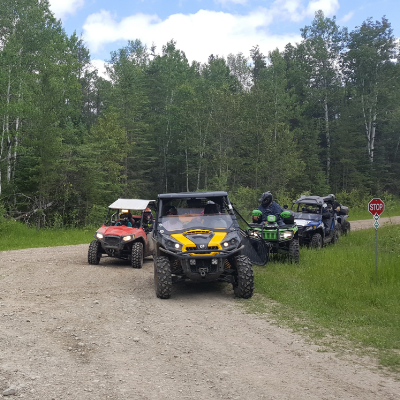 Off-road enthusiasts from Westlock enjoy the diverse terrain of North Central Alberta’s Timeu Creek OHV Recreation Area. ATVMB and SATVA have started collaborating in order to better serve their members and to come up with solutions to the similar challenges they face. 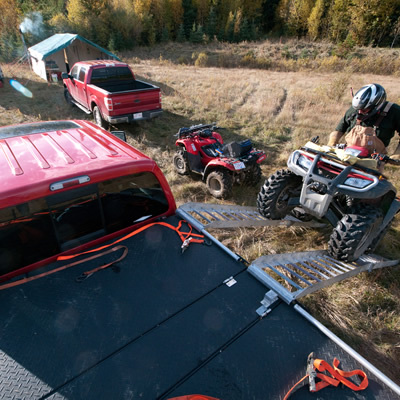 Toy haulers have come a long way over the years and allow riders to make more out of their outdoor adventures. 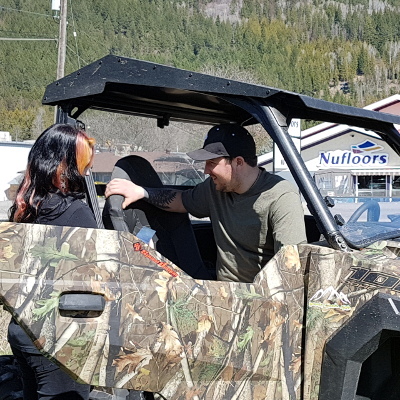 This 45-year-old from Grimshaw, Alberta has had some memorable trips with his family on quads, dirt bikes and snowmobiles. 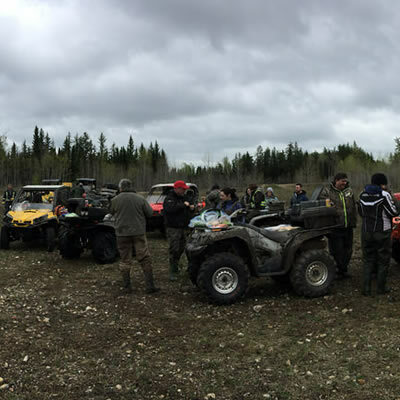 ATV/BC held many rides over the summer, unifying riders from all over the province and having a great time. 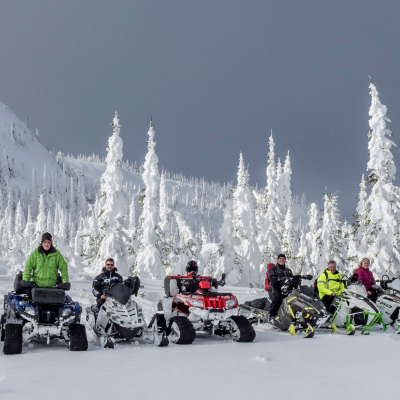 Members of the Moose ATV Club love giving back to their community, improving its trail system and riding in their northern B.C. 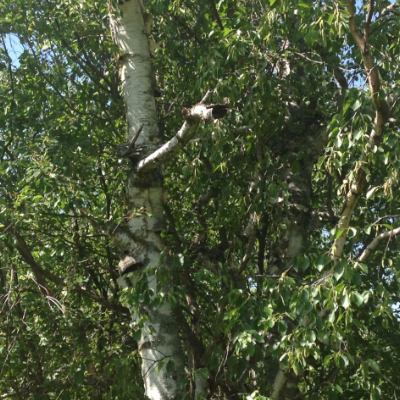 backyard. 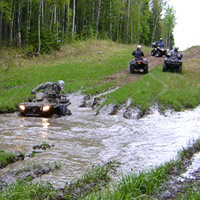 Happy Pines Motocross Ranch near Steinbach, Manitoba, features a motocross track, an obstacle course, a mud pit, a kids-only riding area and a two-kilometre trail. 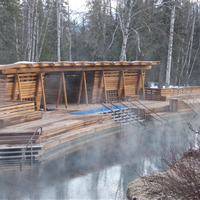 It is owned by Brad and Valerie Irvine. 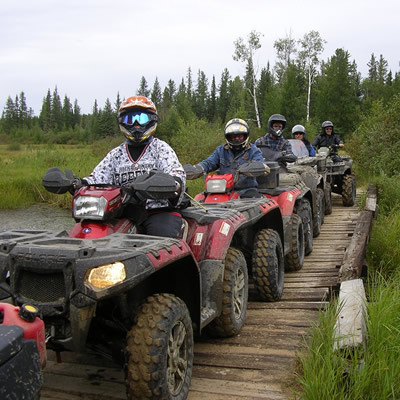 The South Interlake ATV (SIATV) Club is home to the first and currently only designated ATV trail in Manitoba. 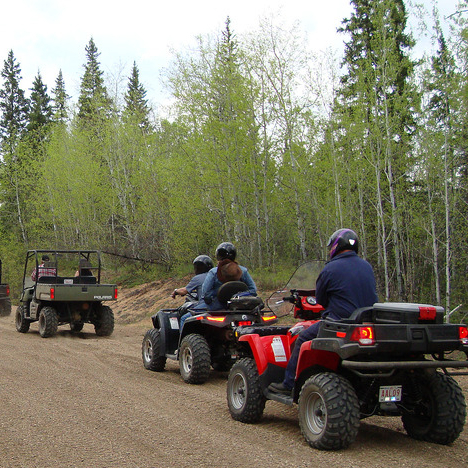 Currently, the province of Manitoba only has one official ATV trail. 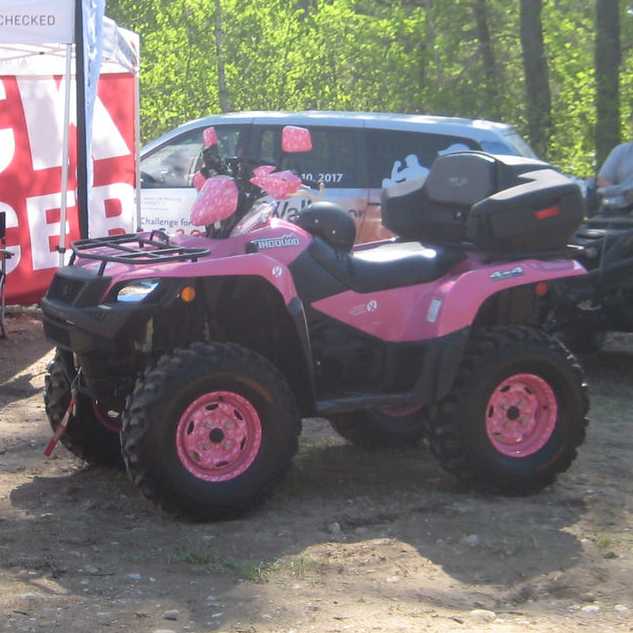 The ATV Association of Manitoba is working hard to change that. 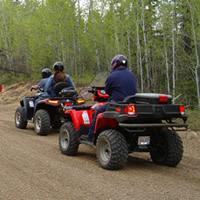 The most current hands-on ATV safety program in Canada is being offered through the Alberta Off-Highway Vehicle Association.